Home| You’ve Recovered From An Eating Disorder, Now What? 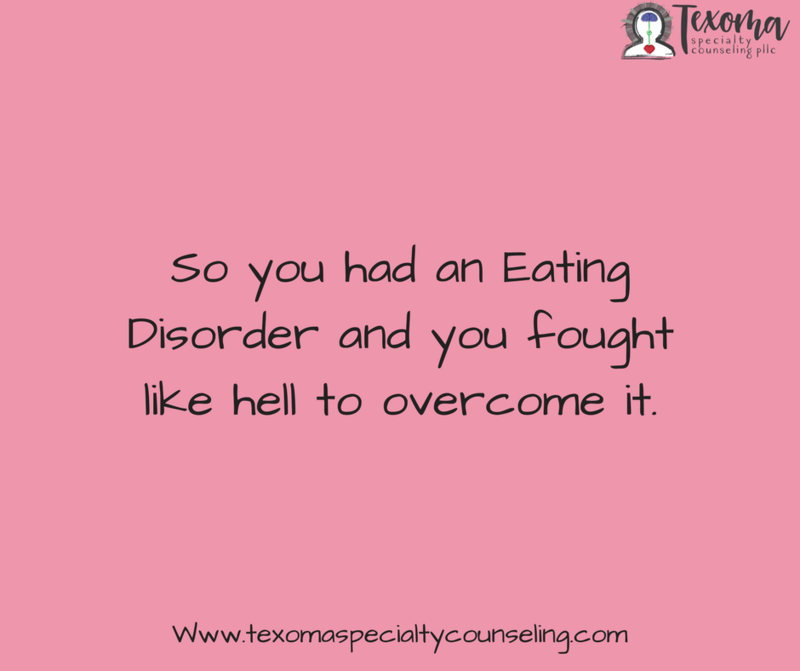 So you had an eating disorder and you fought like hell to overcome it. You know how hard you fought and that your journey to recovery was not easy. It was long, challenging, and overwhelming. You likely had moments you thought it was never going to happen because you believed you would struggle with an eating disorder forever. It is impossible to have a healthy relationship with food and my body when everyone around me is obsessed with food and their bodies. If you are recovered, this is so huge and I want to congratulate you on an amazingly awesome job. If you are not recovered, yet, please know recovery from an eating disorder is possible. Eating disorders are very treatable. It can be hard while you are trying to get there but once you are there you can relax and breathe. A lot of the clients I work with are “go-getters” so as they approach recovery they get a little impatient. Recovery becomes a to-do list item that you want to desperately check off the list. Although recovery is the goal, once you get there a new journey begins. Here are 5 things you can expect from recovery. The recovery process is hard. It can take years to battle the voice in your head and improve your relationship with food. Eating disorders are the most deadly mental illness, so to get to recovery means you overcame. It means that you spent a lot of time, money, and effort to get well. Your recovery means you faced a fear. It is so scary to eat food and to eat different types of food but you looked fear in the face and pushed through. You were asked to challenge thoughts about your body and learned to accept your body. This seems impossible when struggling with your eating disorder but you were able to do it. Recovery takes an immense amount of courage and you have the right to be proud of how far you have come. This pride and courage will carry you through the rest of your recovery journey. You are human and being human means you have a lot of emotions. Your eating disorder masked your ability to feel and deal with feelings. 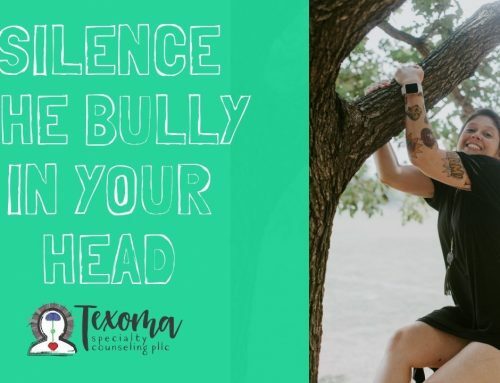 As you move on from eating disorder thoughts and behaviors you will be faced with dealing with emotions. Life is hard and challenging. Adulting is stressful and overwhelming. I want you to know that your feelings are OK. You are not wrong, bad, or crazy for how you feel. Some have asked me, “what’s the point of Recovery if I have to feel bad?” Recovery is not about feeling bad. It is about being able to experience feelings and feel capable to handle them. You will encounter bad stuff but when you do you will be able to handle the emotions. You will know you will be ok despite having non-happy feelings. You will have a deeper respect for it. You will have more days where you feel in control and powerful. You will have moments where you will feel happy with the girl looking back at you in the mirror. You will feel confident and secure in your outfit. Loving your body doesn’t mean that you feel awesome about your body everyday. Rather it means your relationship with your body becomes like any other loving relationship. Part of your recovery meant letting go of dieting rules. This means you have to be very careful with diets now and in the future. Your recovery required you to learn that behaviors, like dieting, can cause you to engage in disordered eating behaviors again. You have learned that certain activities can cause you to go down the disordered eating rabbit hole again, but now that you’re stronger, you are able to say “no”. You have learned it is OK to say “no” to weight loss because you tried it before and were in living hell. This time you are in control and you are choosing to not be miserable again. It is OK to say “no” to society’s standards for you. This one is a bit harder to avoid because it is impossible to avoid society. But now that you are in recovery you understand how this societal pressure can get you down and you don’t want to feel down like that again. You learn there are things you can do. Your recovery has now empowered you to eat what you want. This doesn’t mean that you eat a package of Oreos in one sitting. This now means that you feel empowered to eat an Oreo, or two or three, and that you will be totally OK. You have also learned to eat the foods that gives your body health and life. You can go to a restaurant and order anything you want. Now that your body is nourished and thriving you have more energy. You can go and move your body however you like because you have found a way to move your body in a fun way. You have learned you can ask for help. This was such a hard lesson to learn. It is difficult to face the fear your body may change, but you did it. You found your voice and have learned to speak up for what is helpful for you and what is not. You know the people that support you and choose to surround yourself with them. Should things get hard you know who you can rely one. You have learned you can live. You see you now get to live a life and experience all the things you wanted to. You get to try new things and meet new people. You also get to enjoy the things and people that are currently in your life. Life doesn’t feel miserable and like a struggle anymore. It now feels a bit exciting and something you look forward to. You wake up with energy and motivation and can experience real happiness and joy. Recovery is worth the fight, and it is certainly worth the effort. If you are in your recovery keep being strong and keep having fun. If you are not yet in recovery, please know it can and will happen. Surround yourself with help and people that can support you. If you don’t have help, please know there is a lot of good help out there. Please find a good therapist that can help you with your eating.